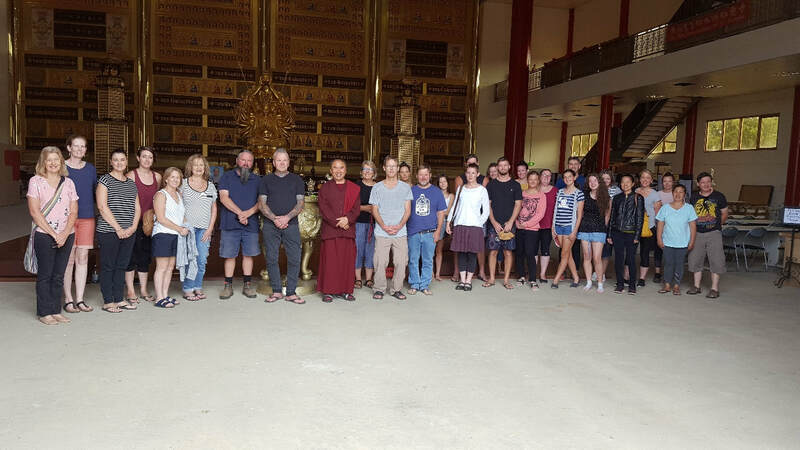 Khenpo la completed a very successful visit to The Bau Sen Buddha Ru Yi Temple at Kinglake, Victoria in mid-February, 2019. 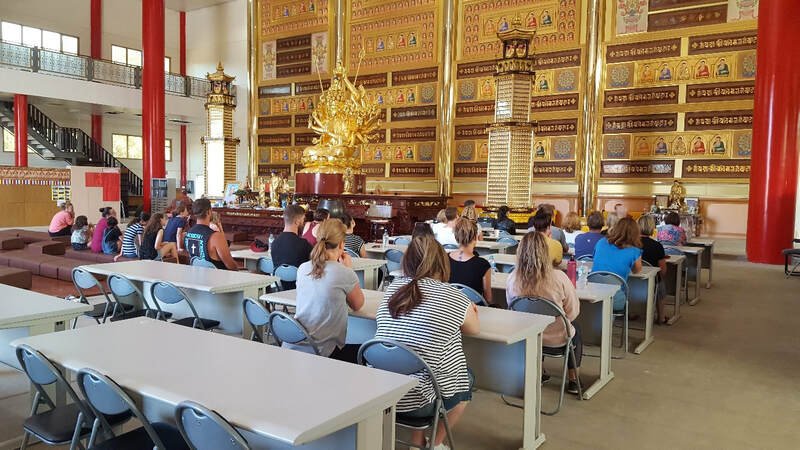 Over the weekend Khenpo la gave a dharma talk on “Transforming Difficulty to Positive”, conducted a tour of the temple and led a guided meditation session “Meditation - Bringing Calm and Peace to our Life”. 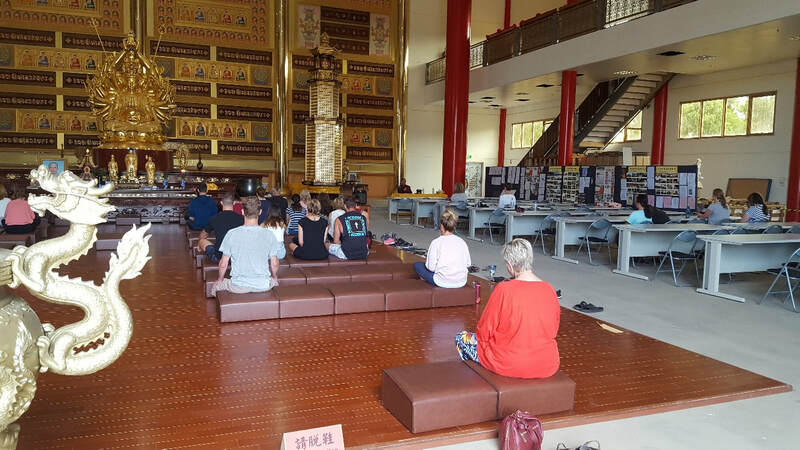 This talk and temple tour was enthusiastically received by the community with many people attending, travelling from as far as Melbourne. There was extremely positive feedback from the attendees, who appreciated being able to attend such events close to home and are keen to have Khenpo la visit again next year. 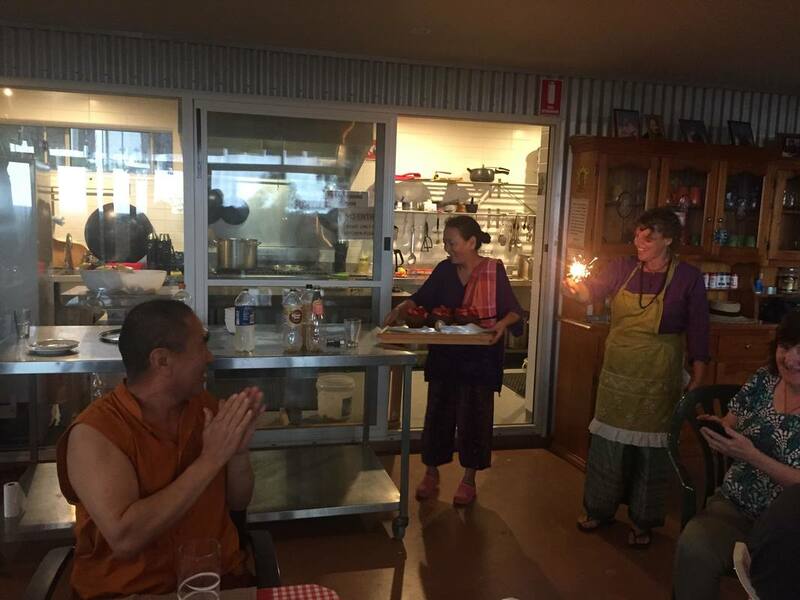 This past Sunday 3rd February at Kamalashila Tibetan Buddhist Centre, sangha members gathered for Medicine Buddha meditation, then cleaned the gompa, worked in the garden together, and then shared lunch of traditional barley soup and fortune dumplings that Khenpo la and Ani la had prepared. Thank you Khenpo la and Ani la for sharing this very special Losar family tradition with us all. The soup was delicious and the fortune dumplings a lot of fun. We look forward to sharing Losar together on Tuesday 10-11am at the centre. Wishing you all a very Happy Tibetan New Year 2146, from Khenpo Ngawang Dhamchoe and all at Drogmi Buddhist Institute / Kamalashila Tibetan Buddhist Centre (KTBC). 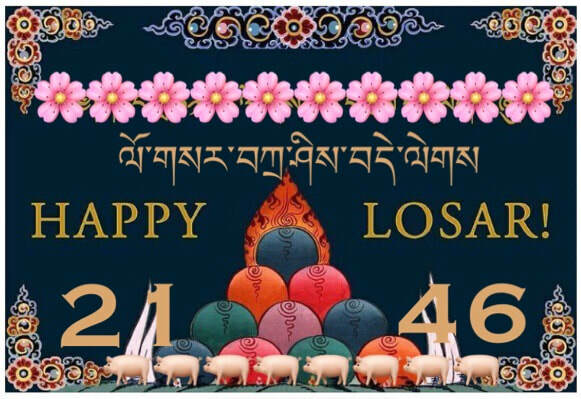 Khenpo la and friends at the centre this coming Sunday (3rd February) and Tuesday (5th February) extend an invitation to celebrate “Losar”, the Tibetan New Year 2146 (2019), the Year of the Earth Pig. Losar itself falls on Tuesday, 5th February. Traditionally, Tibetans start the period of celebration by cleaning their houses and local monasteries / nunneries 2 days prior, that is this Sunday. On this day they gather after cleaning to enjoy a Tibetan festive soup. Then at Losar, monasteries perform pujas and families gather together. KTBC will be holding a program to celebrate this very special time. 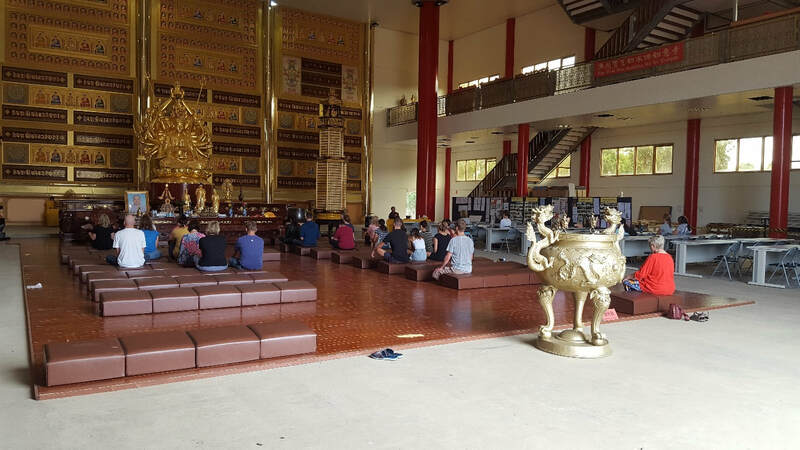 11am-12.30pm: Cleaning of the gompa and other areas. 12.30-1.30pm: A traditional Tibetan festive soup to share with each other. 10am-11am: Shamatha Practice, including offering of auspicious rice, and reciting of special prayers for the New Year. Please feel welcome to attend some or all of the program at this festive time. 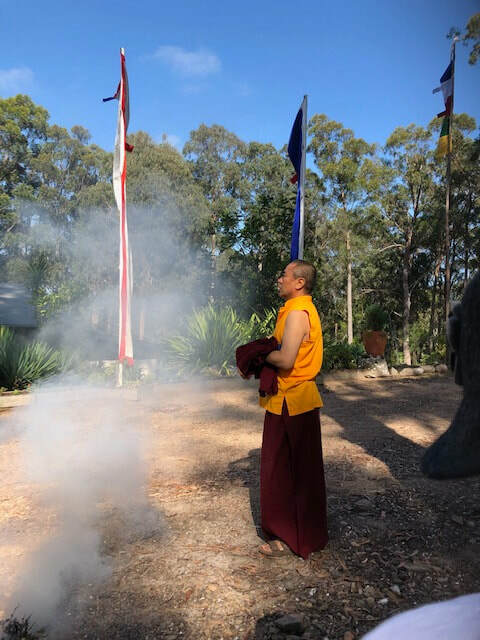 ​His Eminence Kyabje Luding Khen Rinpoche arrived in Sydney Australia to commence a three-week program of Empowerments and Teachings at Kamalashila Tibetan Buddhist Centre (KTBC). His Eminence was greeted at the airport by Khenpo Ngawang Dhamchoe, other Lamas and sangha members. A short welcome ceremony was conducted before His Eminence made the trip down to Kamalashila, Tilba. 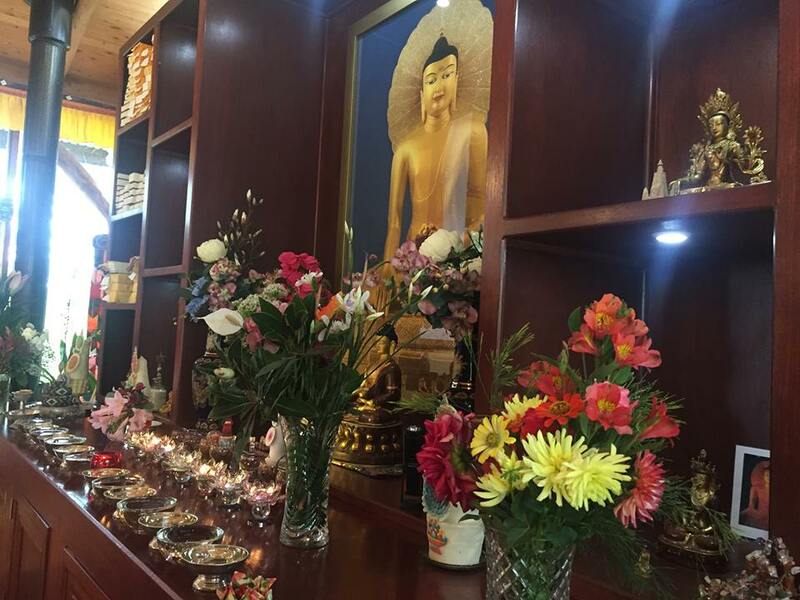 Upon arrival at KTBC, His Eminence was greeted by Alan and Annie Ray who warmly presented khatas and flowers to Him as they approached the property entrance and lead His Eminence and entourage for a traditional welcome ceremony by Khenpo Ngawang Dhamchoe who escorted them to the gompa. 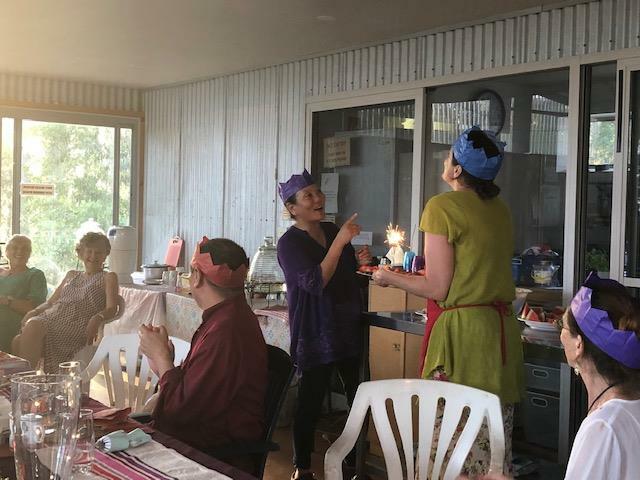 Tea and auspicious rice offerings were made to His Eminence, as it was also wonderful to have so many of the local community in attendance along with participants in the precious Vajrayogini program. Immediately upon conclusion of the ceremony a thunderstorm with torrential rain descended as His Eminence departed to His residence, a most auspicious blessing to the beginning of such a wonderful event. The following day His Eminence commenced the program of empowerments, blessings and teachings, starting with the first group (2 days each) of the Chakrasamvara Empowerment. Twenty-five new initiates attended along with nearly the same number of previous recipients. This was followed by another two days of the second group to receive this most precious empowerment and then two days of the Vajryogini Blessing all together. On the auspicious day of the Blessing, His Eminence and Khenpo la both planted a Bodhi Tree seedling at the south-eastern corner of the gompa. 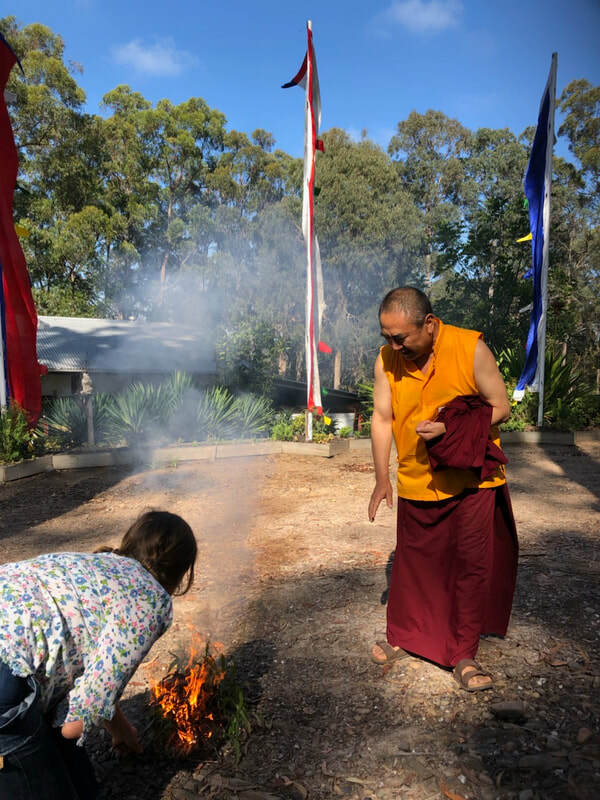 Early each morning prior to His Eminences teachings, Khenpo la would lead Green Tara Puja with all the sangha members who gathered from all over Australia, New Zealand and Canada for this most precious program. At the conclusion of the Vajrayogini two-day Blessing, His Eminence so graciously offered the Ngondro Transmission to the group and many others attending the centre from the surrounding communities, who are now all welcome to join in the 3rd year of The Complete Path in the May and September eight day study period, of the Ngondro teachings and practices. A tremendous thunderstorm hit once more, which descended during the Vajrayogini Blessing, where the gompa was struck by lightning causing the power to go out temporarily. Very exciting indeed! 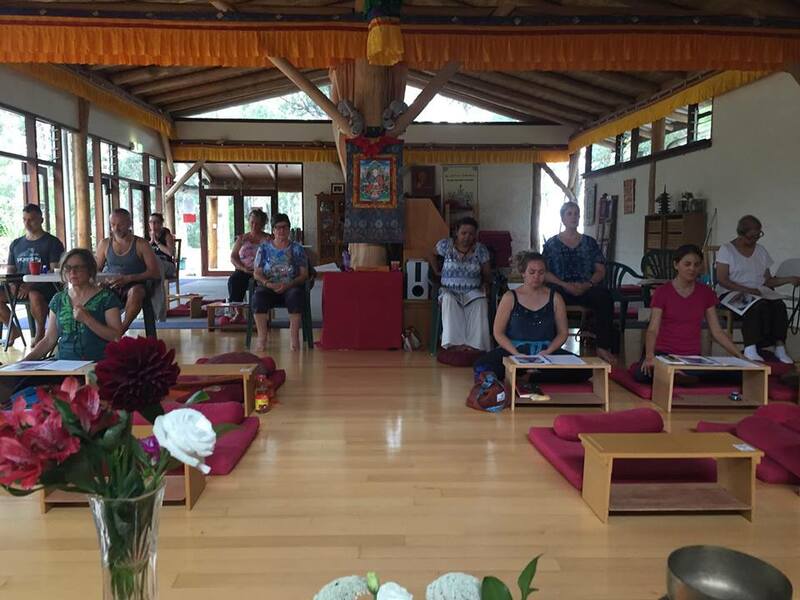 The following day the Vajrayogini Nine Day teaching program commenced. On Day five of the teachings, His Eminence very kindly lead a Tsog offering being the 10th Day of the Tibetan month. This followed by a glorious lunch for which His Eminence, Khenpo la and sangha attended, offered by our beautiful Alan Ray. 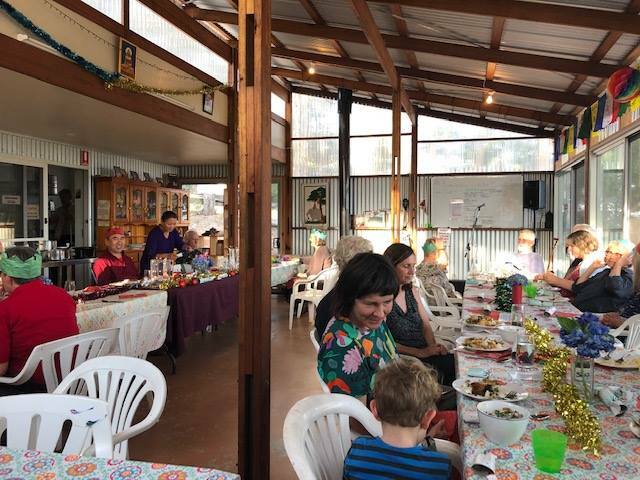 A new standing Buddha arrived at KTBC during this event from Penny Moody and the Melbourne Sakya Centre as a gift. It has been sited in a new glorious silent garden creatively designed by Aylar. There were daily Mandala Offerings for His Eminence, for all of our great gratitude towards His Eminence’s kindness and wisdom continually shared. 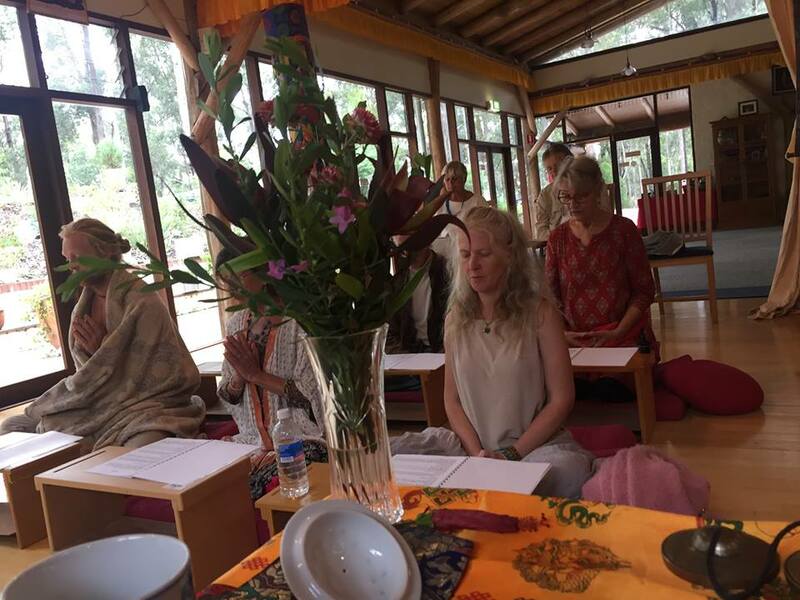 The two-day Hevajra Empowerment was extraordinary and truly beyond words. As well as His Eminence carrying out three last empowerments on the two last days open to all which were Chenrezig, Vajrapani and Green Tara! It is extremely difficult to put into words the gratitude we have for this precious Master, so we do rely on the rituals of offering khatas, to whisper a most heartfelt thank you to Him and to bravely raise our eyes to His. We deeply thank Tsering-la, wonderful Tsekyab-la (Shrine master), and to Ngawang-la, whose translating was exceptional. Thank you as well to Venerable Tsultim for sponsoring Ngawang to fulfil that role. At the conclusion of these magical and extraordinary three weeks, His Eminence commented that we all “felt like family”, was completely reciprocated by all who attended. 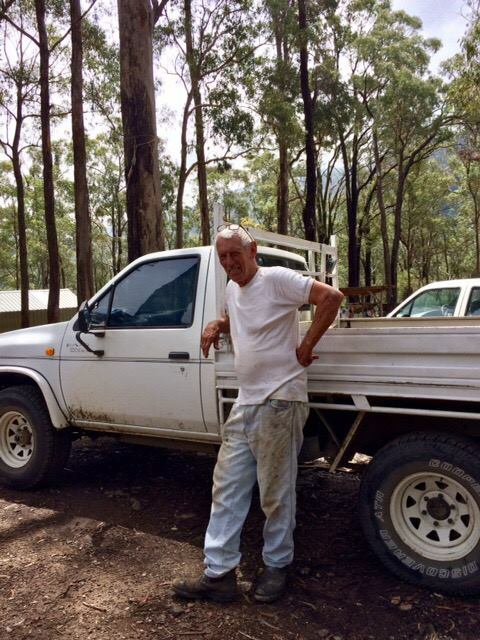 Rinpoche-la said that, at first when he was told he was going to the Australian bush, he was not sure what to expect! But he was very happy to discover that Kamalashila was “like a pure land”, with it’s natural beauty and peacefulness. His Eminence thanked Khenpo-la, the Drogmi Committee and to all of those who helped with the event, as all present were touched by the humility of this powerful and authentic Master. Quoting Nagarjuna, His Eminence reminded us that ‘There is nothing that doesn’t become easier with practice’ and encouraged us to take joy in our daily Dharma activities. Our gratitude towards His Eminence is boundless and will continue into the future as we incorporate His teachings into our lives. Deep deep gratitude to our precious teacher, Khenpo-la, without whose pure samaya, wisdom and compassion for all beings, we would never have had the opportunity to benefit from His Eminence’s profound presence. May all who long to receive teachings from this most generous and kind Master be able to do so and may all of us who were able to attend be blessed to hear the Dharma from His Eminence again and again, may all beings benefit from our efforts. 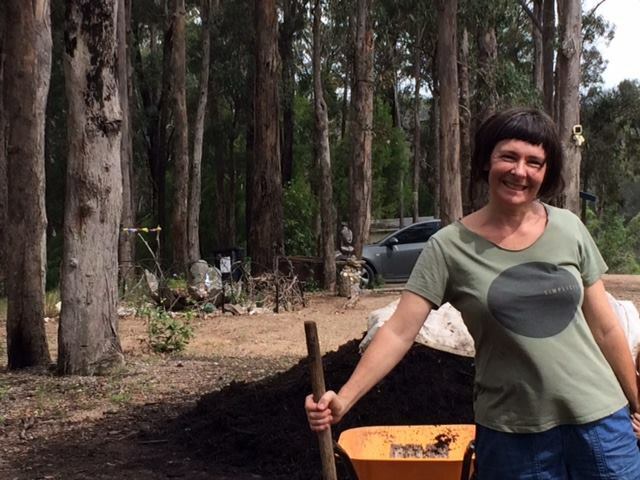 “Situated at the foot of Mount Gulaga, perched high above the canopies of the lower forest is this amazing place, Kamalashila Tibetan Buddhist Centre. On arrival four days ago, I felt immediately at ease. Such a calming, friendly space. Thoughts by Susan who was an attendee at the Healing & Purification Retreat. 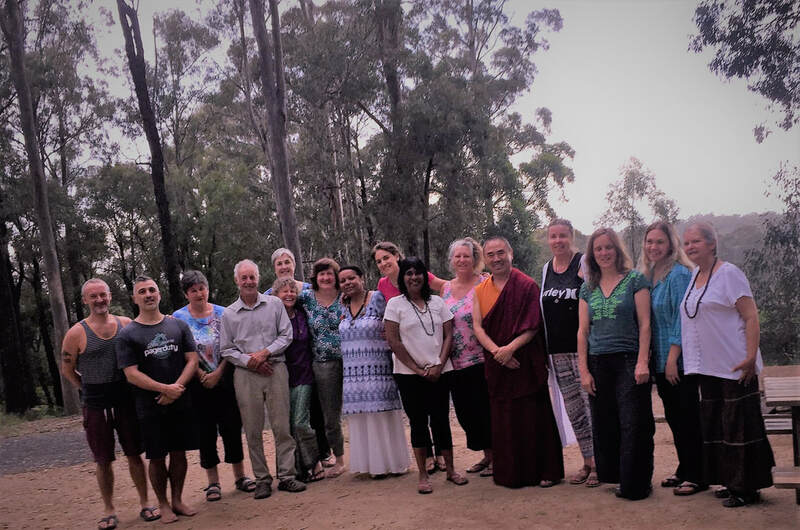 The Annual Healing & Purification Retreat concluded on 1 January 2019. Within the first few days, Khenpo la bestowed the Vajrasattva Transmission and began detailed teachings on the practice. Khenpo la taught on the reasoning behind taking the Vajrayana path. If we can help one person that is good enough. There are two ways to help others; One is to stop causing trouble/disturbance to others and Two - Go out and help others in their daily lives. These are the basic principles of a Buddhist Practitioner. 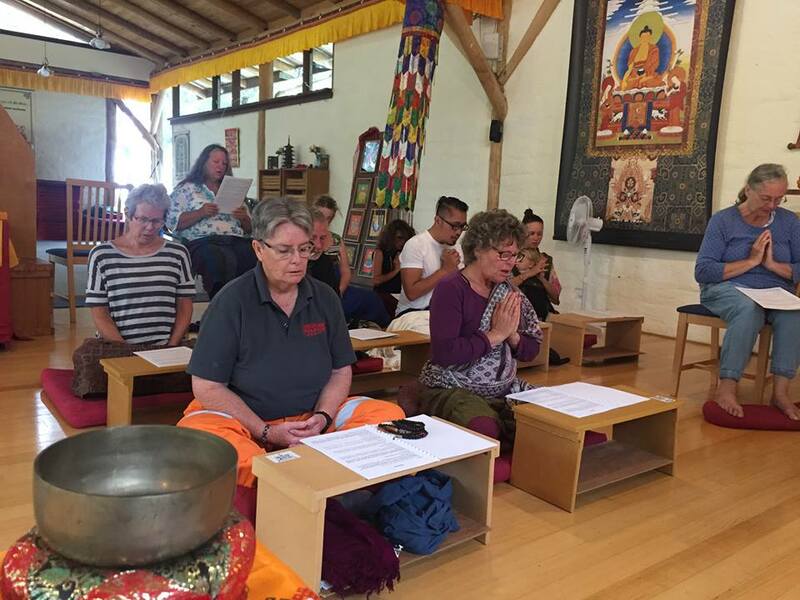 There were continual comments from attendees of how profound and detailed Khenpo la's teachings on Vajrasattva Practice have been. On the third day Khenpo la very kindly gave the Medicine Buddha Transmission and began teachings on Medicine Buddha practice. Such an opportunity! He continued to teach in detail on the Eight Medicine Buddhas. On the last night of retreat, it was New Year’s Eve and traditionally in this retreat we have a New Year’s celebration. Ani la and Aylar cooked a wonderful meal, and we enjoyed lots of laughs and jokes. A fun night for everyone! 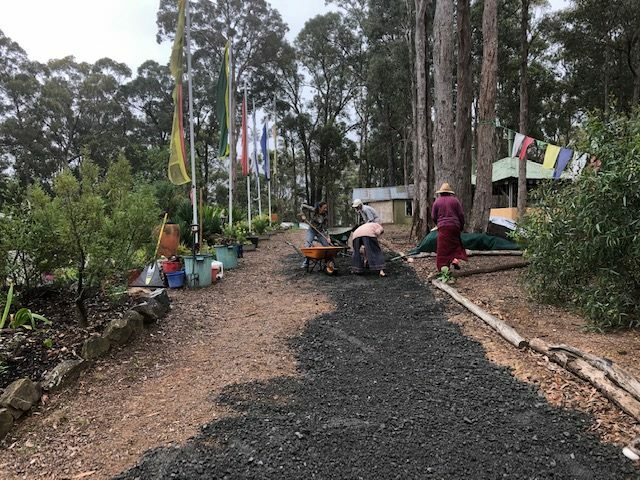 On New Year’s Day Khenpo la offered an elaborate ceremony on a very auspicious day conducive of hanging prayer flags that bless the gompa, the whole dharma property of KTBC, Tilba and beyond. This day was extremely auspicious due to its positive elemental combination. He mentioned specifically that it was extremely fortunate that all of us attending retreat could be a part of this ceremony. It was a most precious and beautiful way to commence the last session of retreat. Thank you Khenpo la!!! Happy New Year everyone, we hope you have a great year in 2019, in the dharma. I am writing to extend a sincere and welcoming invitation to you for a most wondrous event. 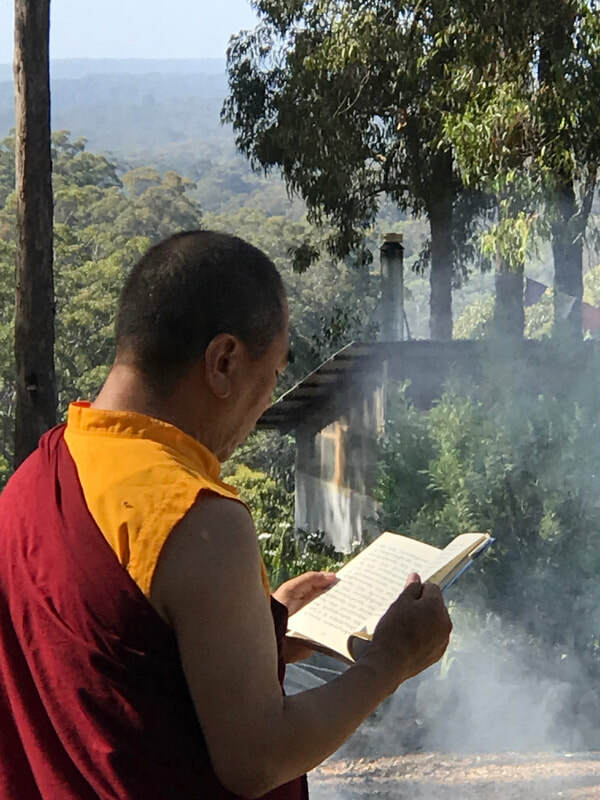 The Drogmi Buddhist Institute is very fortunate that His Eminence Kyabgye Luding Rinpoche has accepted our invitation to visit Australia and join us at the Kamalashila Tibetan Buddhist Center during 5-25 January 2019 for an extended period. His Eminence Kyabgye Luding Khen Rinpoche will bestow the Chakrasamvara Empowerment and the Vajrayogini Blessing along with a comprehensive Teaching on the profound Vajrayogini sadhana practise and other Empowerments. This is a very rare and precious opportunity. I cannot encourage you enough to attend. This complete cycle will enable Vajrayana practitioners to practise this highest Tantric method considered one of the swiftest paths to attain Buddhahood. The importance of a great Vajrayana Master such as His Eminence Kyabgye Luding Rinpoche bestowing this mystic teaching cannot be overstated. 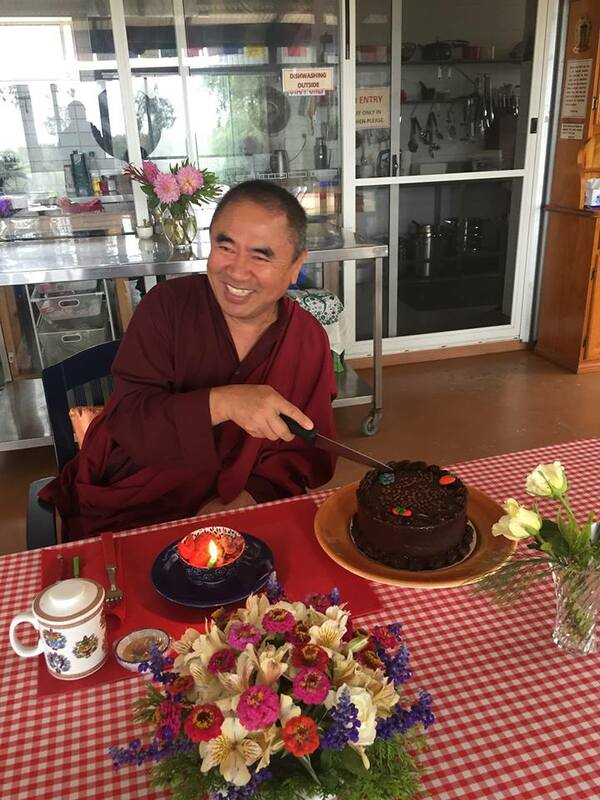 Please make every effort to welcome His Eminence Luding Khen Rinpoche to our Centre in Tilba, Australia. His Eminence Kyabje Luding Khen Rinpoche is the 76th throne-holder of the Ngorpa lineage of the Sakya tradition of Tibetan Buddhism and is the holder of a very ancient lineage. His mother is Her Eminence Jetsun Chime Luding Rinpoche who embodies Vajrayogini herself and is the greatest living female Vajrayana teacher and elder sister to His Holiness Vajradhara Sakya Trichen who is his Uncle and one of his Great Teachers. His Eminence Kyabgye Sharchen Luding Khen Rinpoche has trained and studied extensively under several of the greatest living Buddha Dharma Masters including Vajradhara Luding Khenchen Rinpoche his paternal Uncle, as his father was born into the Sharchen Luding lineage. Therefore, through both parents, he is linked to ancient spiritual lineages unbroken down to the present day. Rinpoche also studied under the guidance of the Late and Most Revered Khenchen Appey Rinpoche becoming an accomplished philosophical scholar and a graduate of the Sakya College of Higher Buddhist Philosophy. (For further biographical details refer to the Teachers tab on the DBI website). If we sincerely wish to practise Vajrayana it is imperative to receive Empowerment (Permission) and learn from a perfect Guru. Luding Khen Rinpoche is one of the finest Vajrayana Gurus I have encountered during this lifetime. I spent time with Rinpoche at Sakya College where I was greatly impressed by his down-to-earth manner and by the love and compassion he demonstrated daily towards others. In my experience, Luding Khen Rinpoche embodies all the qualities required of a perfect teacher. I have great respect and reverence for His Eminence Luding Rinpoche, not only because he is a direct member of the distinguished Khon family and is thus a senior member of the oldest royal family in Tibet, but because His Eminence is a beautiful, down-to-earth Bodhisattva. His life has been entirely committed to complete study and practice of the vast Buddhadharma. Luding Khen Rinpoche is a most humble enlightened being and is extremely generous in sharing his immeasurable knowledge and wisdom with students. It will be an event you are sure to remember and will have the blessing of this great Being with you for your whole life and beyond. The merit and protection offered in the bestowing of the Empowerment, Blessing and Teachings is priceless. 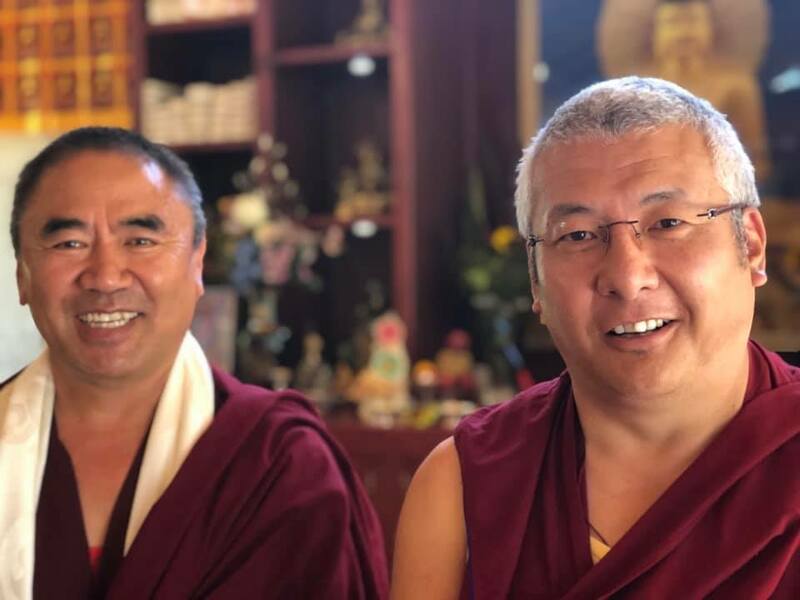 It will bring blessings that are unimaginable for Vajrayana Dharma students and practitioners, or anyone fortunate enough to meet His Eminence Luding Rinpoche. The good karma to be invited and attend signals that you have acquired merit for the selfless sharing of the highest Dharma by a Great Bodhisattva. I really wish this benefit for you, I earnestly recommend that students and practitioners do not miss the opportunity of receiving Empowerments from His Eminence, please do not miss this occasion. Life is impermanent, opportunities may not arise again, so it is good to recognise and act on them when they appear. Also, to be in the presence of such a great Vajrayana Master and by being near a living example of a true Bodhisattva will hasten your path to your own Buddhahood. The guru is the Sangha, too. The guru is the creator of all happiness. 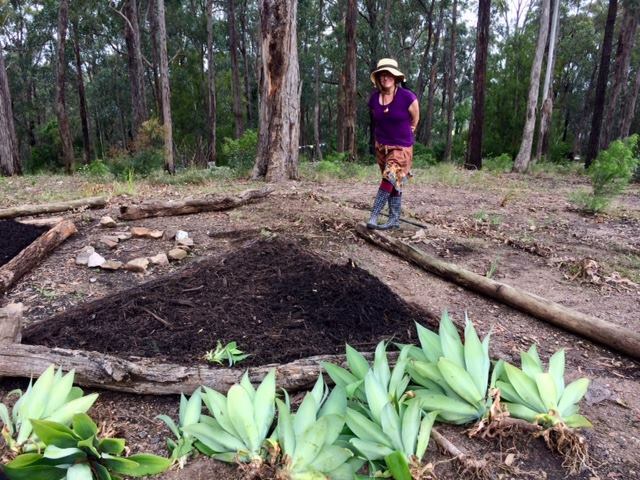 Over many recent weekends at KTBC, there have been some incredibly productive working bees especially in preparation for the prestigious visit of His Eminence Kyabje Luding Khen Rinpoche. Road base has been laid to repair some of the road along the side of the gompa. 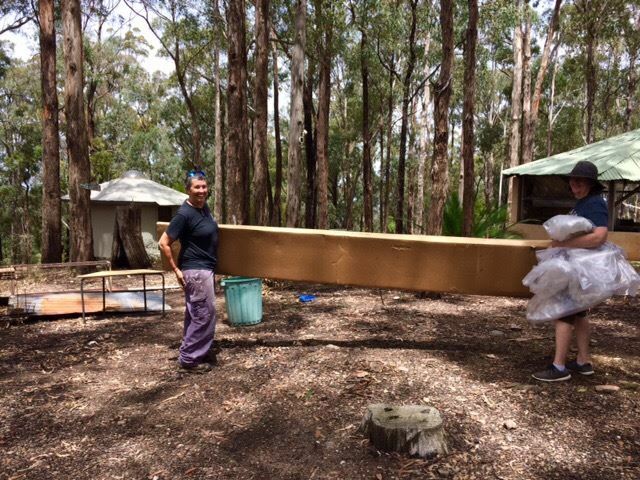 The outside wood beams of the gompa have been re-oiled, a wonderful group of sangha helping with the mulching of the new gardens, lots of running repairs and tidying of the office, amongst a million other things. Thank you to everyone who have come over these past hard-working weekends, giving so much time and effort, so grateful. 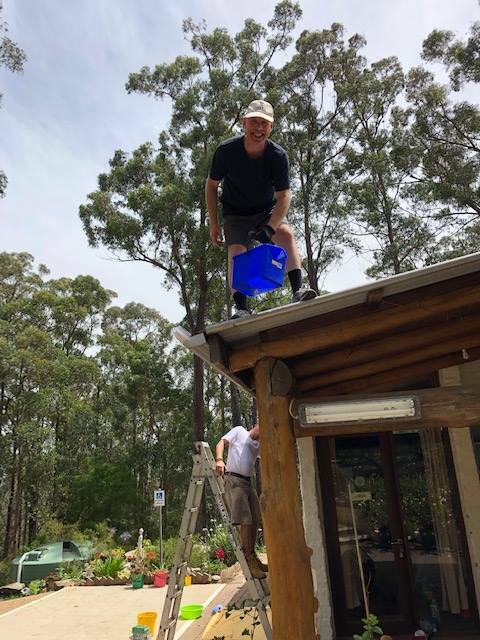 On one of the weekends just as the group left, a great storm hit the mountain with huge amounts of rain, so good for the newly laid compost and mulch. 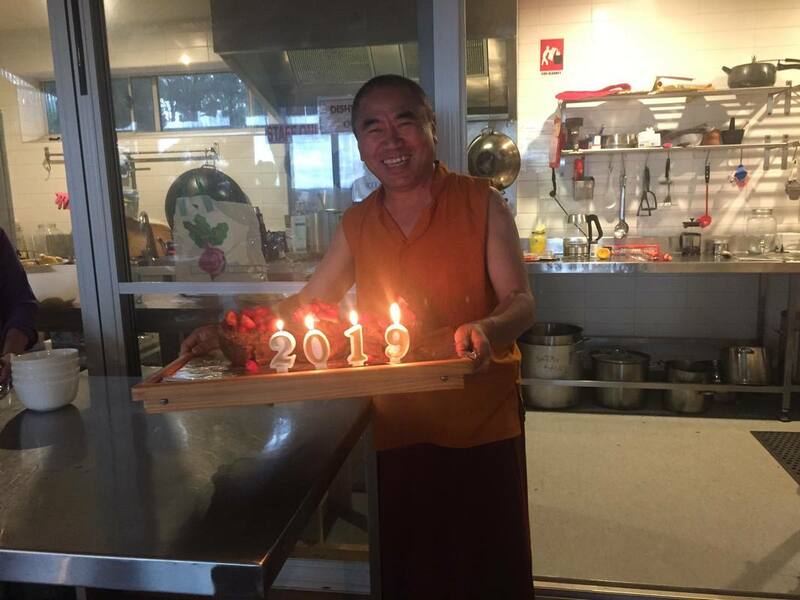 ​At the AGM Khenpo la talked about how successful the year has been from a dharmic perspective for the centre, with people attending and the improvement in those people’s lives turning to more of the positive… Please read Khenpo la’s AGM report. 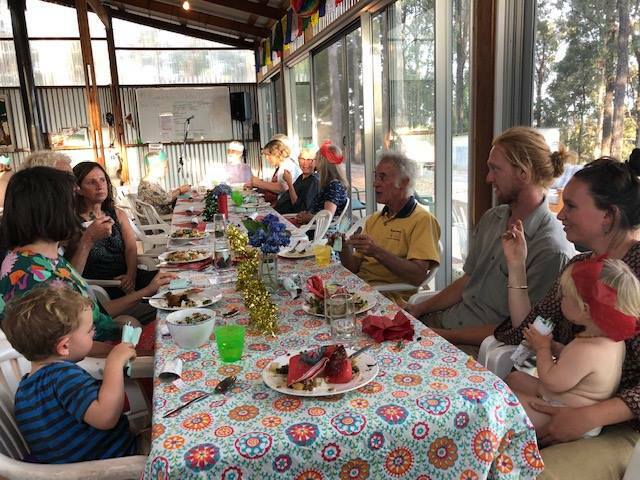 Some images of the Annual Holiday end of year gathering/dinner. It truly was a delicious dinner with first class entertainment by musicians Chris and Matty! Thank you so much to everyone who came, who helped and enjoyed this very lovely night. We also celebrated Ani Nyidon la’s birthday… Happy birthday Ani la, many many many happy returns!! !